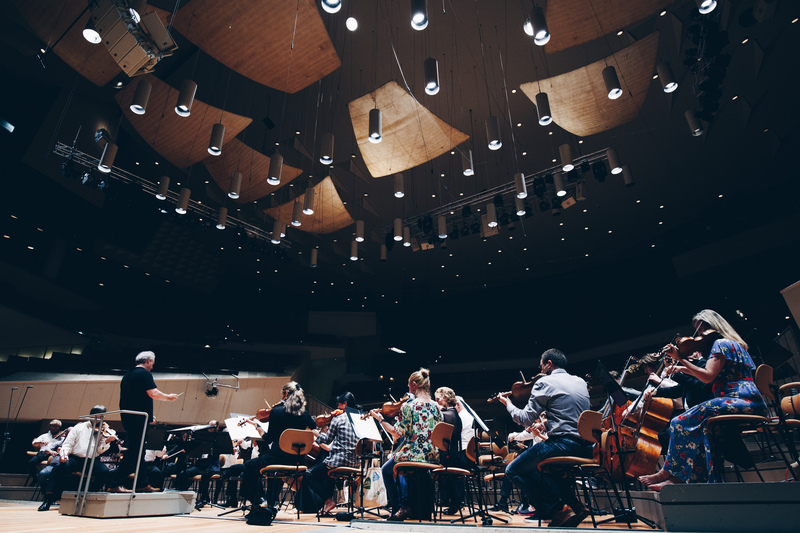 Composers like Philip Glass, John Adams, Nico Muhly, Brett Dean, and Thomas Adès, to name a few, have been instrumental in blowing the doors open on preconceived notions of opera. 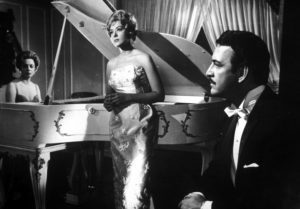 The work of British composer Adès has been particularly in the news the last little while, what with his opera adaptation of Luis Buñuel’s surreal 1962 film The Exterminating Angel recently making waves at the Metropolitan Opera in New York. 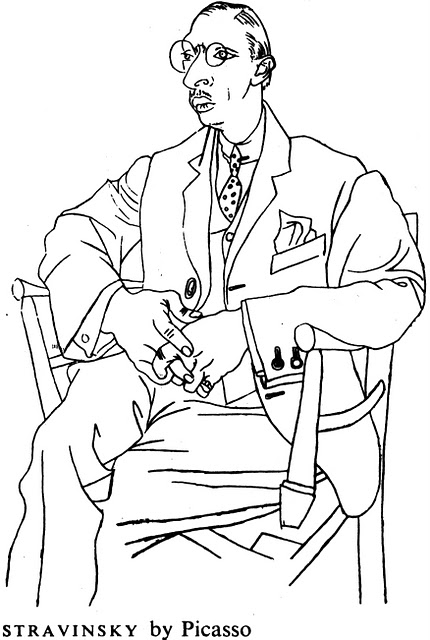 The film, which revolves around a post-opera dinner party during which guests find themselves unable to leave, has accurately been described as a “a surreal, black comedic-horror film.” Film critic Roger Ebert called it a “macabre comedy.” The heavily symbolic work notable for several reasons, among them, as Vulture’s Justin Davidson writes, it “resurrected the surrealism of the 1920s and anticipated the psychedelia of the ’60s.” Having seen it in film school years ago, I remember it being, by turns, hilarious, bizarre, and very unsettling. The opera translation is no less effective. 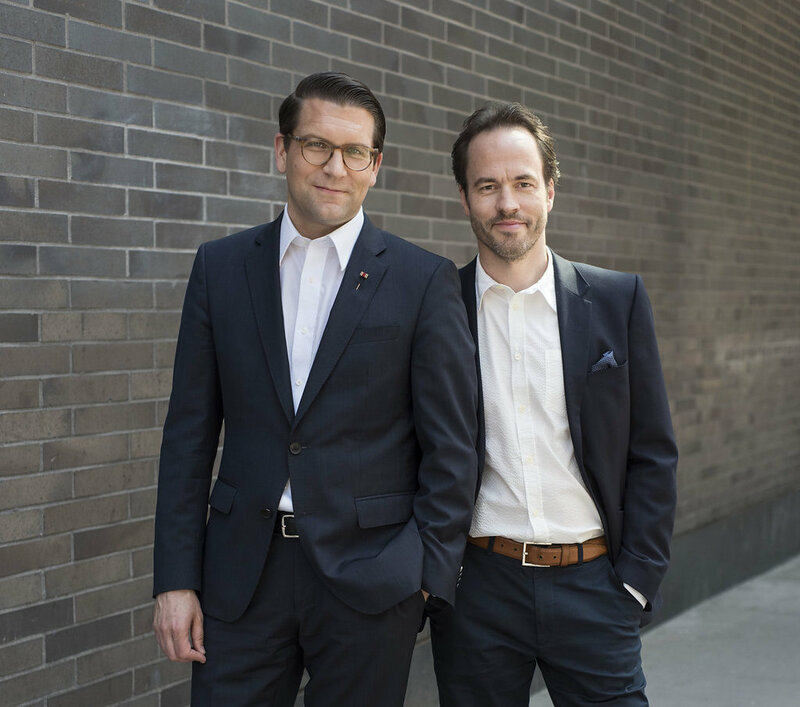 Having premiered at the Salzburg Festival last year, the opera (with a libretto in English) went on to be staged at the Royal Opera in London this past spring and, when presented in New York last month, inspired waves of strong reactions, from high praise to brutal dismissal. As classical writer Joseph So rightly noted, “(a)udiences do appreciate contemporary operas when given fine singing and thoughtful staging.” Love it or hate it, The Exterminating Angel is a work that can’t be ignored. A work based on a movie that goes back to being filmed is interesting in and of itself; what would Buñuel make of it? I wondered this at news of the Live In HD Broadcast of The Exterminating Angel. The Spanish director might, I suspect, have been very amused to have noted his film had been translated to the stage, only to be translated back to film again. The meta nature of it all is enough to make one run to the work of French theorist Roland Barthes (almost). The Exterminating Angel (the opera) repeats in cinemas throughout December and January (and in Canada too) in case your saccharine silly season needs spicing up. The broadcast is not the first time Frédéric Antoun has been on the screen this year. 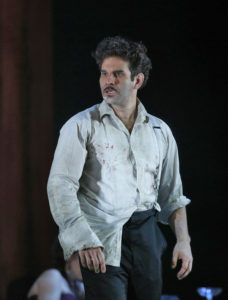 The Quebec-born tenor appeared earlier this summer as Cassio in the Royal Opera House production of Othello, which was broadcast live (and in various repeats) internationally from Covent Garden in London. A graduate of the prestigious Curtis Institute of Music, Philadelphia, Frédéric has an impressive resume that includes performances at Opéra de Paris, Theater an der Wien (Vienna), La Monnaie Brussels, the aforementioned Royal Opera House Covent Garden, a number of regional French houses, as well as Opernhaus Zurich, where he’ll be returning to perform early next year in Ravel’s lovely work L’Heure espagnole. Before that, he’ll be in Toronto, performing as part of the Toronto Symphony’s annual presentation of Handel’s Messiah. 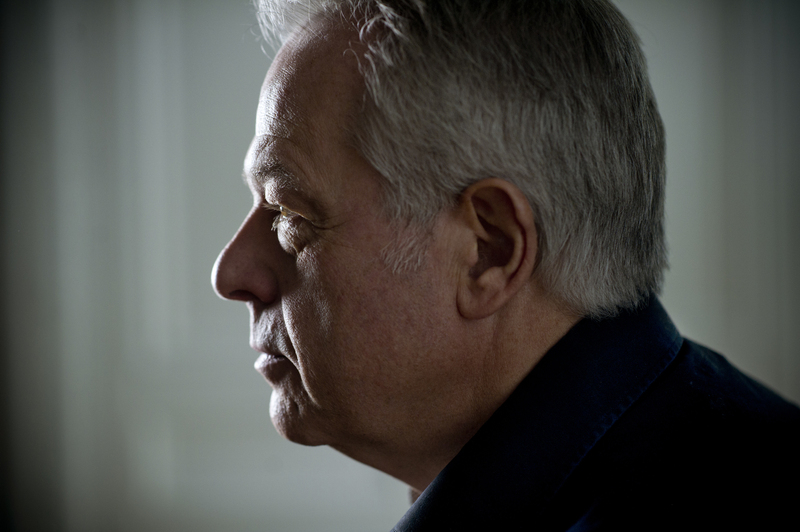 He has performed in works by Massenet, Mozart, Donizetti, Bizet, Verdi, and Handel; I particularly love this clip of him from a modern production of Gluck’s Iphigénie en Aulide, directed by Pierre Audi from 2011. 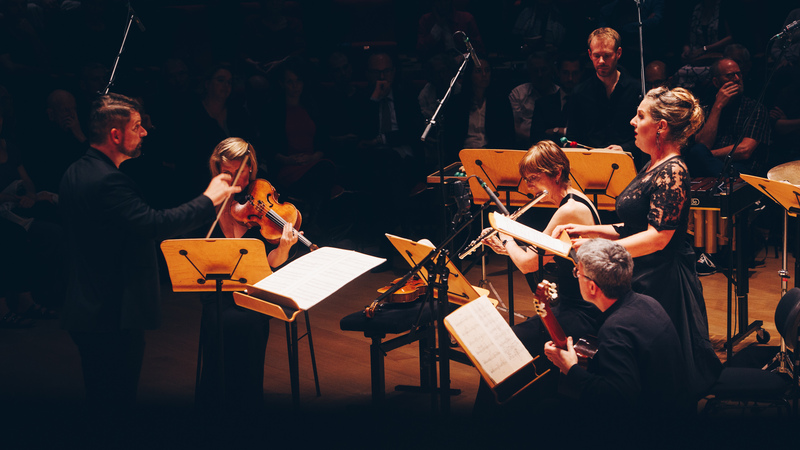 Concert repertoire includes work by Berlioz, Handel, Schumann, and Bach, to name a few. 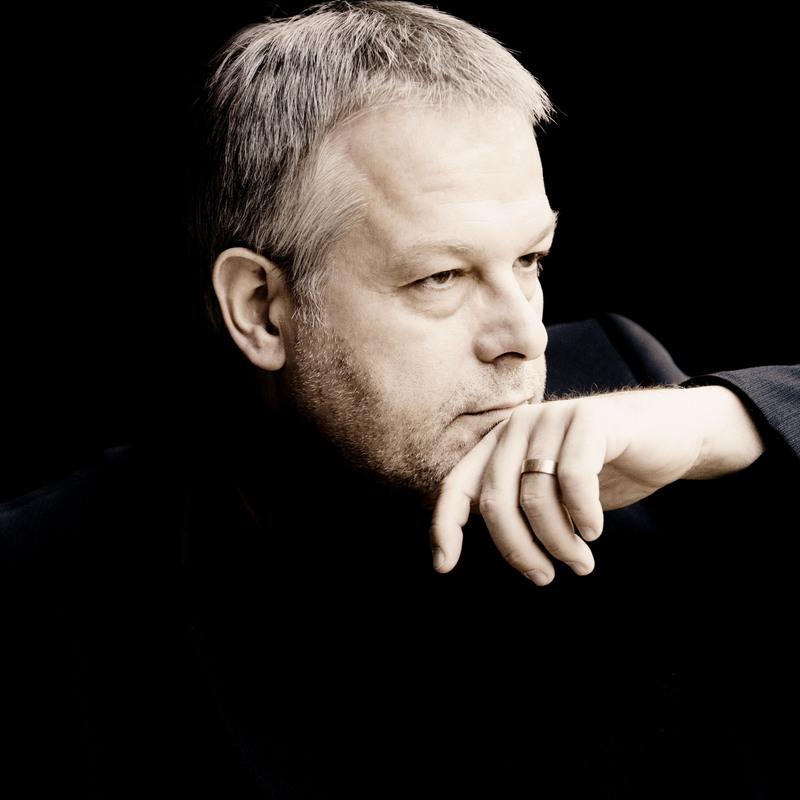 As you’ll hear, Frédéric is extremely familiar with the work of Thomas Adès, having already been in his operatic adaptation of The Tempest. 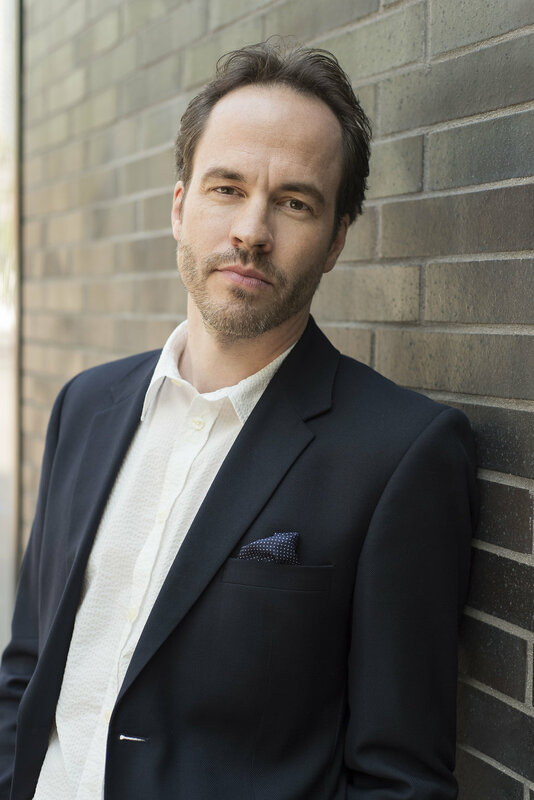 With movie-star looks, rich-hued tenor, crisp diction, and a complete magnetism in both modern and not-so-modern productions, Frédéric is a singer to watch, both live and on the screen — either way, it’s a memorable experience. 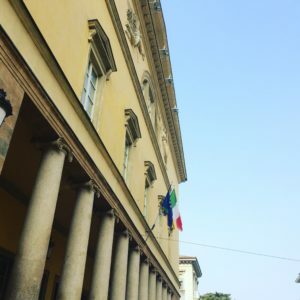 Two weeks ago I was touring the lands of opera composer Giuseppe Verdi in Emilia Romagna, northern Italy: the place he was born and raised, the splendid home of his benefactor, the lush gardens he would walk through. Those were the good parts. 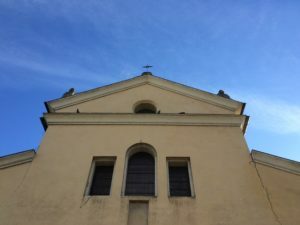 Any sentimentality or indeed, romanticism, which so many feel in traveling to Italy, has been largely scrubbed out; never, in all of my travels, I felt more aware of my status — my vulnerability — as a woman. While there are finger-waggers who will tut-tut with inevitable “you should haves” and well-meaning “if only you hads” (instincts I find frustratingly passive-aggressive if not outright patronizing) I stand by the validity of my reactions, deeply aware of the various costs of singledom as a woman, the frequently taken-for-granted privilege of coupledom, and the need to accept the wildly different realities of each, particularly within the wider context of travel experiences. I got to see a part of Italy very few people get to see, a unique experience to be sure, but one that comes with a bitter recognition in realizing that my only return to the country will be as either part of a tour, or for quick excursions to very specific places, namely Teatro Comunale di Bologna, the Teatro Municipale in Reggio Emilia, and of course, Teatro alla Scala in Milan. In retrospect, I wonder what Verdi, a man who felt such a clear kinship with the so-called “common man,” would have made of my experiences in his country as a woman in the 21st century. Would he have been appalled, I wonder, by the cat-calls, the leering, the begging? Being a solo woman traveler opened the door to an ugly jarful of assumptions, which led to harrowing experiences: theft, harassment, manipulation, and (as was the depressingly repeated case in so many restaurants), being totally ignored. What would Verdi have made of it all? What would he have made of my wrists being grabbed by a older woman wanting money? Or waiters running to serve amorous couples but consistently ignoring my inquiries about a missing lunch and requests for another glass of Lambrusco? Or of personal items being stolen from an abode? What of the forced kissing and repeated fondling after accepting help with luggage? What am I to make of these experiences? Are they operatic? Is it “Italy being Italy” ? Should I not be bothered? Was it my fault? Did I somehow “ask for it?” Did I deserve it because I was alone? In any terrible situation (or series of them), there are always minuscule shards of light, and it’s these shards I have to pick through now, with the benefit of hindsight. I will always remember the free shot of espresso provided by a friendly woman in a bustling shop in Parma; the plate of sandwiches set before me in a cafe by another woman who gave me a knowing nod when she saw I was alone; the warm, expressive tone of my tour guide at Villa Verdi (the composer’s primary residence for many decades), as I struggled in my limited Italian to understand her every detail. All of us were above a certain age, all of us perhaps had some shared understanding we couldn’t articulate. I remember these moments, cherish them, and I’ve taken a friend’s advice to try and focus on good things, like these moments, and the ones provided via music and history. 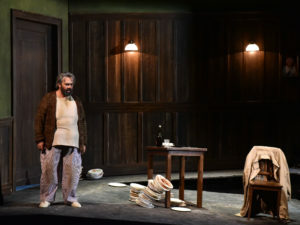 Jacopo Spirei’s Falstaff was my favorite production, and I don’t write that purely because I interviewed him about it before I left. Smart, funny, timely, and with a marvellously human lead performance by Roberto de Candia, the production (presented at the Teatro Regio di Parma as part of this year’s edition of Festival Verdi) was a true standout, and I wasn’t alone in that reaction, as chats with members of a refreshingly friendly British tour group revealed. Spirei placed the action in a familiar present, and filled the scene with very familiar people. De Candia played Falstaff as a kind of slobbish everyman, notably lacking the cutesy quality so common to characterizations. Instead, he was a kind of bar pig whom no one wanted to spend much time around — women especially; Falstaff wasn’t cuddly and harmless, he was slovenly and horrible. Only through his spectacular humiliation did he becomes semi-tolerable. The production made it abundantly clear that a character like Falstaff must be brought low in order to be raised once more, not as the phoenix, but as more of a messy pigeon who pecks around rotting porticos, and has to be kept in line with brooms and hoses every now and again. 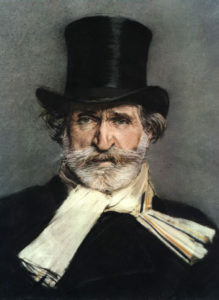 Portrait of Verdi by Giuseppe Boldini, 1866. 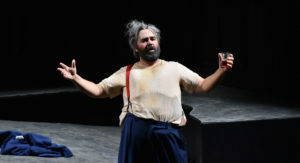 I thought of Sir John Falstaff when I went to Villa Verdi some days later, because, as with Spirei’s magnificent production, I was being allowed to glimpse a vivid humanity which lives beneath an image. The house is located just outside the town of Busseto, roughly 40-odd kilometres north of Parma. Verdi supervised its construction, and, together with lady love (and soprano) Giuseppina Streponi, moved in in 1851. The house contains a number of mementos, as one might expect, all carefully and lovingly displayed. Observing the bed in which Verdi died in 1901 (which had been shipped from the Grand Hotel in Milan) and various personal effects (including letters, knick-knacks, and the top hat and scarf he wears in Boldini’s famous portrait), a portrait of a good man dedicated to music and the people he loved emerges. 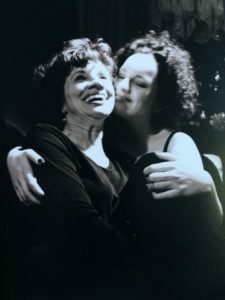 It sounds hokey, but somehow, it wasn’t — but it was odd to walk around the living quarters of someone whose music was the soundtrack of large swaths of my life, to say nothing of my mother’s; it was ordinary and yet not, simple and yet grand, intimate and epic, all at once. Two pianos on which Verdi composed his works (early and later) were there, a clear case covering their keys. I stared at those pianos, longing to touch them. (No photos are allowed inside the house, alas.) I couldn’t rip my eyes off the second instrument on which he had composed Aida; this epic of the opera world, this contentious, difficult piece, with clashing ideologies and a gorgeously intimate subtext about loving the wrong person in the wrong time, “Celeste Aida” and the so-called “Triumphal March” — all that was done on the simple, upright piano sitting before me. Gelling those reactions with the personal effects (to say nothing of the little section on Wagner) was surreal but also beautiful. I wish I could have had a few moments to stand in that room and take it all in, quietly, thoughtfully; it was one of the rare times during my travels in Italy that I actually wanted to be alone. A more fulsome piece about my visit to Villa Verdi and the town of Busseto is set to appear in a future edition of Opera Canada magazine, but at this website, expect a piece (soon) about a very unique version of Die Zauberflöte (The Magic Flute) presented in Reggio Emilia, which featured members of the Berlin Philharmonic and Italian entertainer Elio. Mozart’s opera has been on my mind a lot lately, because it is, as Komische Oper head honcho Barry Kosky rightly has noted, a work infused with a deep loneliness, and that quality is one which haunted me throughout Italy. Perhaps it was the absence of my mother, the social isolation that comes with being an independent woman of certain means, an overall disappointment… whatever the case: I am happy to have seen and experienced the things I did in Italy — and it will take a lot to get me to return. Last evening was the last of two performances of Verdi’s magnificent Requiem at the Teatro Regio di Parma. Featuring the talents of soloists Veronica Simeoni (soprano), Anna Pirozzi (mezzo soprano), Antonio Poli (tenor), and Riccardo Zanellato (bass baritone), and led with intense passion by conductor Daniele Callegari, the occasion was dedicated to the memory of tenor Luciano Pavarotti at the tenth year of his passing. 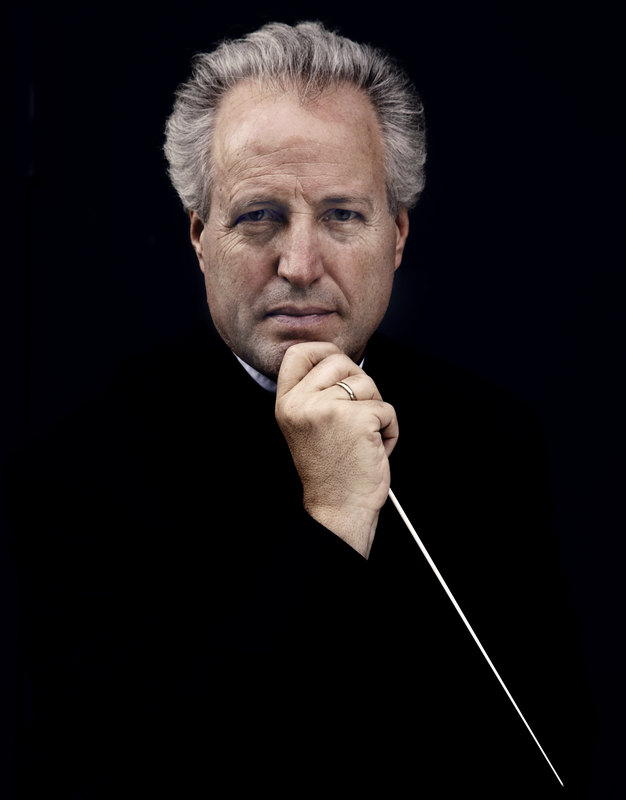 The Requiem was the first classical experience I had in Italy, and it was more emotional than I was anticipating. 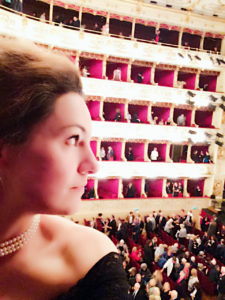 Coming to Italy has meant facing the lingering grief associated with losing my mother, who introduced me to opera and who passed away in 2015 after living more than a decade with non-Hodgkins lymphoma. I was her caregiver during that time, and I miss her in ways expected and unexpected. I knew this would be an emotional trip, but it also felt like an important one for me to take. 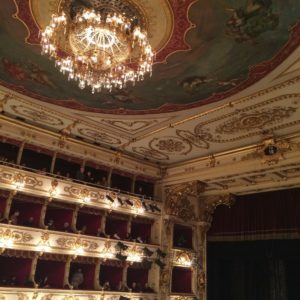 Turning away from the opportunity to see some of my favorite artists live in places I know and love (like London) or places I’ve yet to see opera (like Paris, Munich, and Vienna), I chose Festival Verdi because it was, once it had been suggested to me, the sentimental journey I realized I needed to take. Carmen may have been my first opera as a small child (I was kitted out in long gown and rabbit coat, and taken to a production at Toronto’s then-named O’Keefe Centre), but Verdi was the composer whose work I was essentially raised to. It is not an exaggeration to say his music was the soundtrack of my life. 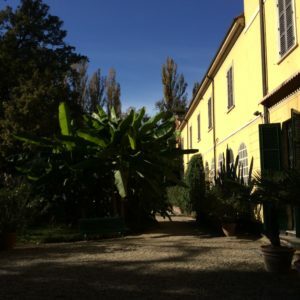 Yes, there was Elvis Presley, and Roy Orbison, and ABBA, and Dean Martin, and Patsy Cline, and many others besides (my mother loved them all), but Giuseppe Verdi’s position in our little house was central and over-arching. I was a suburban ten-year-old who could sing along with “La donna è mobile” even if I didn’t know exact pronunciations of the words, let alone their meaning. I felt an electric thrill ripple from ears to legs to toes and back again the first time I hear “Di quella pira” (and I still do now). Watching a performance of La traviata‘s famous Brindisi on PBS inspired me to hoist a juice glass and sway around the room; I didn’t really know what they were saying (something about a good time?) but it felt good inside. This music still has the same effect for me; I feel good inside hearing it, whether it’s sad, happy, celebratory, or vengeful. The socio-political subtext of many of Verdi’s works, which I learned about growing older, only made me appreciate them even more, and never stopped me from swaying inside to that Brindisi. Italophile though she was, my mother never learned the language, despite her love of opera and the many Italian friends we had through the years, and she didn’t travel as much as she would’ve liked for opera. 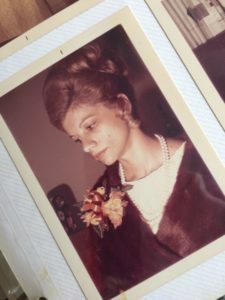 Being a single mother in the 70s and 80s in Canada meant that going to the O’Keefe was all she could manage — that is, until we finally went to the Metropolitan Opera in New York City in the late 1980s. She’d already been of course, many years before, and prior to that, had seen many performances at the Metropolitan Opera’s original house. 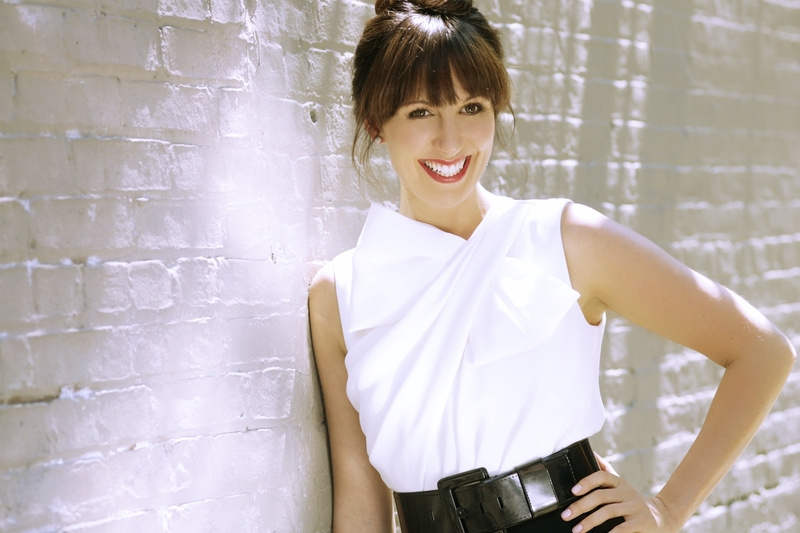 If motherhood (especially single motherhood) had dimmed her ability to see live performances, it had also made her go ever more deeply into her ever-growing music collection, and, at that time, record every single PBS special. I only recently cleaned out those (literally) hundreds of VHS cassettes, unplayable not just because of technological advances, but through sheer wear and tear; we watched the hell out of that stuff, and more than one happy evening was spent staring and listening, sipping on root beer floats. Returning to the Met was, looking back on it, a kind of a homecoming for her. We sat up in the Family Circle and it was there, in the darkness, surrounded by well-dressed matrons and comfy-casual students, locals, travellers, newbies, old hands, the old, the young, everyone in-between, with the music coming in waves up to us, that I finally truly understood the depth of my mother’s passion. Not the swaying and verklempt expressions the many times she’d go up and down supermarket aisles, Sony Walkman firmly in place, listening to Saturday Afternoon At the Opera. Not the coy smile when we met Placido Domingo during his Toronto visit (a smile returned, by the way, with a wink). Not even the occasional breathy “ahh” between sections during live performances at the O’Keefe. No, nothing underlined my mother’s passion for the art form until we went to the Met, and especially, saw Luciano Pavarotti (her very favorite singer) perform, and the music of Verdi at that. If it’s possible to experience a person’s spirit leaving their body, I did in those times, and it’s a big reason I wish she was here with me in Italy. Still, there were challenges. Get two willful females living together and you may guess the rest; this trip she’d be chiding me to get a move on, stop burying myself in work, and “you don’t need that second glass of wine!” We’d argue about music as much as the mundanities of every life. 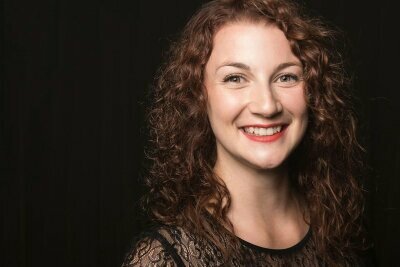 I could not, as a teenager, understand her love of Wagner, whose work is, perhaps, the anchovies of opera, or was for me at least; only time, maturity, and experience allowed me to experience and appreciate the richness and complexity. 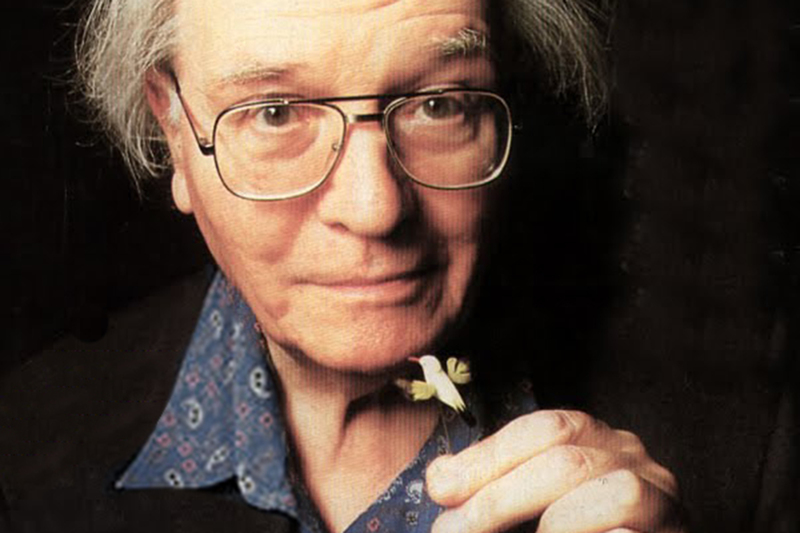 While I adore his work now, in my younger days I had less than friendly feelings. My mother, by contrast, attended nearly an entire weekend of Wagner operas one trip to NYC; she wasn’t so deeply into the mythology as just the sheer, grand sound of it all, and if anyone could parse the threads between the two, it was her. Some may roll their eyes at this, and her perceived ignorance — the fact she couldn’t name all the international singers, didn’t know a lot of various directors’ works, didn’t closely follow very many careers outside of a famous few, couldn’t tell you about tessitura, cabalettas, or fach, didn’t (could’t) travel, didn’t have urban opera friends — and many more yet will say I parallel that ignorance in all kinds of ways, that I’m a twit, an amateur, a poseur, that I am pretentious and snobbish and full of hot air … to which I can only say, I admit ignorance to many things, I acknowledge the many holes that need filling, I try to educate myself in all sorts of ways, but also: I never, ever want to lose the purity of my mother’s appreciation. 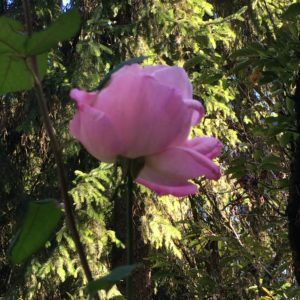 The day that purity is gone is the day I stop traveling, and the day I stop writing also. Last night I was reminded of my mother’s pure appreciation, and just how much it’s been passed on. 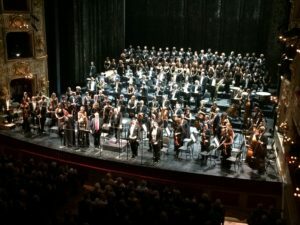 There are plenty of reasons why Verdi’s Requiem is important in terms of historical and political contexts (and NPR is right to call it “an opera in disguise“); none of those relate to what I found striking and moving experiencing its magnificent performance at the Teatro Regio di Parma, though. 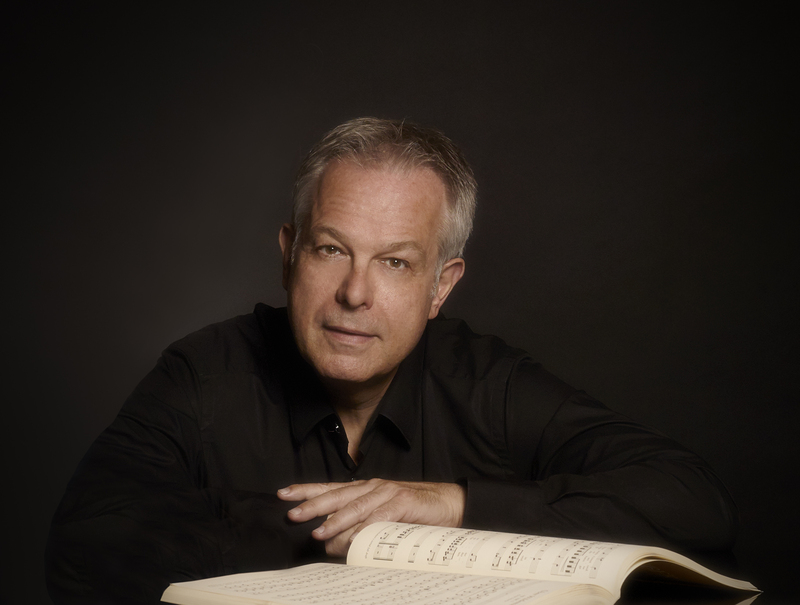 There was such a directness conveyed by and through Maestro Callegari, whose body language and responsiveness conveyed such a truly personal connection with the score. I’ve seen this work many times — with my mother and without — and while I have my favorite performances, none rank with this one; the immense chorus and orchestra transmitted balls-out grief and anger, and were wonderfully contrasted and complemented by thoughtfully modulated performances of the performers, who carefully wielded vocal texture and volume to create a wonderfully satisfying unity of sound. The house itself created so much immediacy of sound, and I can’t wait to hear more in it throughout the coming week. My mother attended the opera in both Rome and Florence during her lifetime, but she returned from that particular trip full of remorse, as she told me, that she’d gone to Florence and not had time to go further north, to Parma and especially Busseto, where all things Verdi are located. Her absolute dream trips were to go to Milan for La Scala, and Verdi’s birthplace and home. I’m nearby in Parma, and I am thinking of her constantly. Good advice. Mille grazie, mamma. Questo viaggio è per te. Every time I hear about an opera based on a play, my antenna goes up. I was a theatre writer before I was an opera writer, and a theatre performer and aficionado before all of that. In my youth I spent countless hours pouring over journals, books, and audio recordings of works by (and this is by no means a comprehensive list) Pinter, Beckett, Miller, Pirandello, Artaud, O’Casey, Orton, Moliere, and of course, Shakespeare. When my mother would take me to operas based on plays, I would always wince, thinking, “surely this won’t be as good as the original.” Ah, youth. Living in Dublin and London allowed for many fantastic nights of theatre, with some of my favorite moments unfolding at (or being connected with) the Almeida Theatre in Islington, north London. 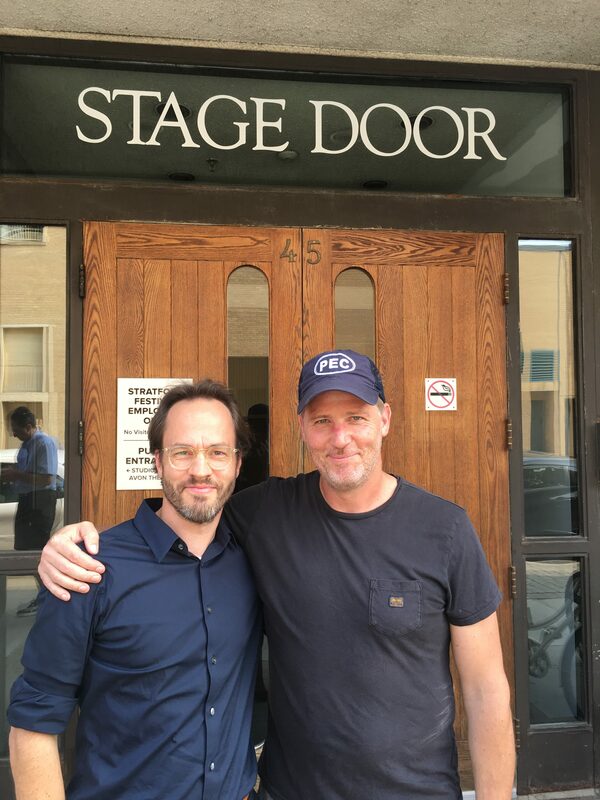 When Jonathan Kent, whose work I had long admired, moved into opera, I was immediately intrigued. The flow between the worlds of theatre and opera has always been a natural one, of course, but owing to youthful arrogance (and more than a bit of romance around the world of theatre), I couldn’t see or appreciate it clearly. I still love theatre but whenever I go now, I find myself missing the music. Opera is, of course, a fluid art form rich in drama and rife with possibilities for presentation, something various head honchos in opera know and riff on, to frequently wondrous effect. (See: Barry Kosky’s work, especially with Komische Oper Berlin; the work of Pierre Audi and Robert Carsen; the recent 017 Festival, courtesy Opera Phildelphia, for just a few examples.) Making opera theatrically gripping isn’t always easy, however much creativity, talent, and goodwill is extant. When it comes to staging the work of Giuseppe Verdi, who adored the work of Shakespeare, things can get even more sticky. A director is faced with certain choices: do the stodgy Shakespeare thing, involving various shades of grey and frilly collars? Or do super-high-concept, involving surreal set pieces and bizarre effects? Listening to the music and text, together, as one unit, is of course, the director’s job. Italian director Jacopo Spirei excels in integrating drama, visuals, theatricality and music into one satisfying whole. He gets opera, he gets theatre, he gets why you might be resistant to combining them — and he thinks you should come anyway. 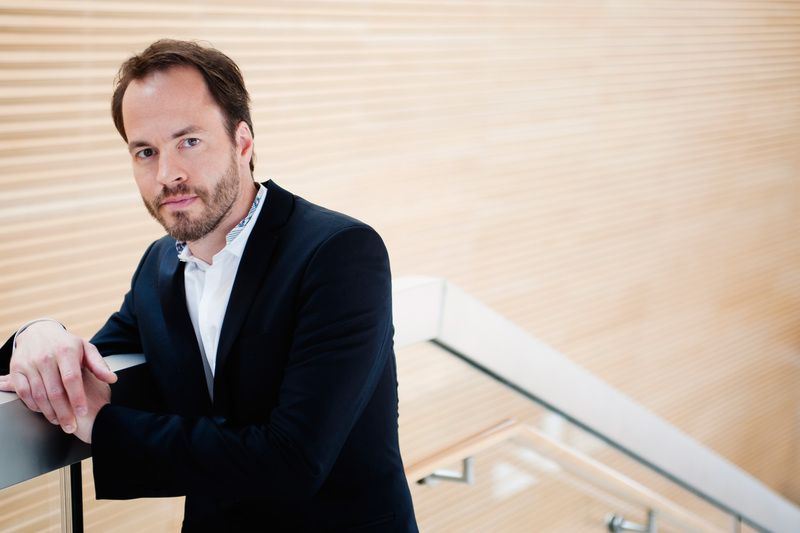 I first spoke with Jacopo earlier this year when he directed Don Giovanni at the San Francisco Opera, in a remount of a work originally done by Gabriel Lavia in 2011. He’s just opened his entirely-own production of Falstaff at the Festival Verdi in Parma, Italy. Having gotten his start working with British director Graham Vick (who has a production of Stiffelio at this year’s Festival Verdi involving the audience standing and moving), I thought Spirei’s thoughts around the theatre-meets-opera issue would be very valuable. Falstaff is based on Shakespeare’s The Merry Wives of Windsor, and involves the jocular title character, Sir John Falstaff, in various misadventures with a variety of ladies and angry husbands. Basically, Sir John’s giant ego gets him in trouble. Frequently played as a jolly big man with a beard and a rolling laugh, this famous literary character is often presented as the stuff of stage comedy, a figure we laugh with and laugh at, a bon vivant whose lust for life knows no bounds. 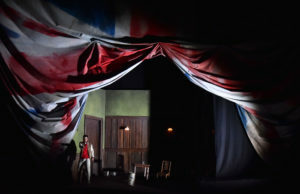 This is fun, but I wondered if Jacopo saw something more; the photos of the production (which I will be seeing the end of this month) seem to suggest so, with a dirty Union Jack flag being used at various points, to say nothing of baritone Roberto de Candia’s dishevelled appearance and modern dress. What was Jacopo thinking as he directed this in one of Italy’s most notoriously fussy houses for opera? Find out. How is directing an opera based on Shakespeare different? We could say that Verdi and Shakespeare is a very happy match; whenever the two have met great art has been produced. Who is Sir John Falstaff? What does he have to say to us in 2017? It’s easier to say what Falstaff is not: he’s not a moral creature, he’s not young, he’s not thin, but he has been in the past all of these things. Falstaff is a man who has known glory, wealth, poverty, defeat and survived through it all with a smile and a philosophy. He tells us how morals and honor are just words created but mankind. He’s a man who survives, who values a good glass of wine more than many words; at the same time he’s a man who represents old values in a changing society, so he’s a character that, like every human being, lives in a constant contradiction. He does not understand the modern world but also wants to participate in it, does not want to let go, wants to show that he still “has it.” I can’t think of anything more actual than that — we live in a “like” obsessed society where youth and beauty is the only value. It’s not easy being old today!!! There is a tendency with many productions of Falstaff to emphasize the comic aspects; your production seems more serious and thoughtful. Why this approach? The opera is funny, but not comic. 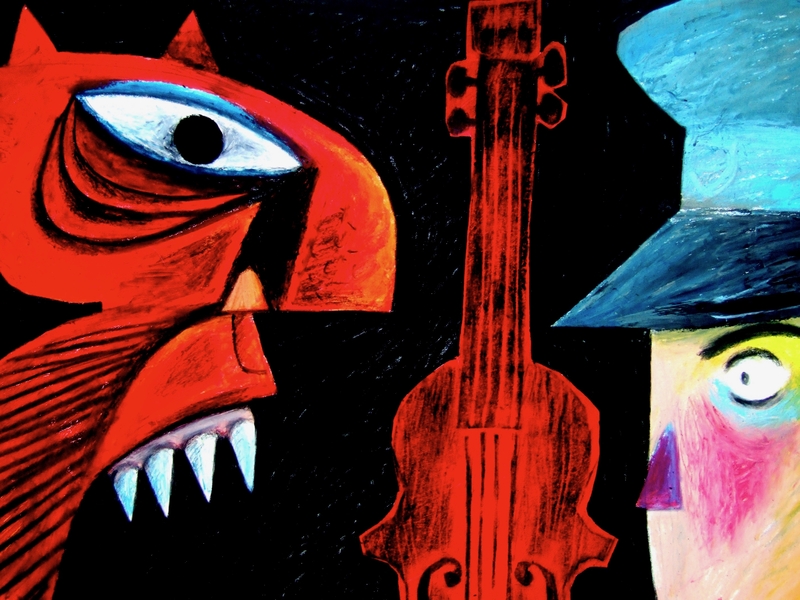 It’s an opera about different stages of life, and has a strong dose of cynicism; it’s a comedy with teeth! I have approached the opera from the text, like Verdi did, so I’ve developed what’s on the page, I have researched with the cast and what we’ve discovered is what we are presenting to the audience today. 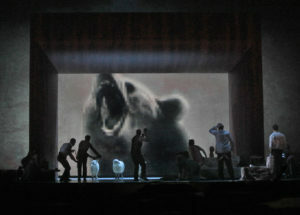 The design sense of this production is very unique: contemporary, somewhat expressionist, familiar. What were your visual influences? 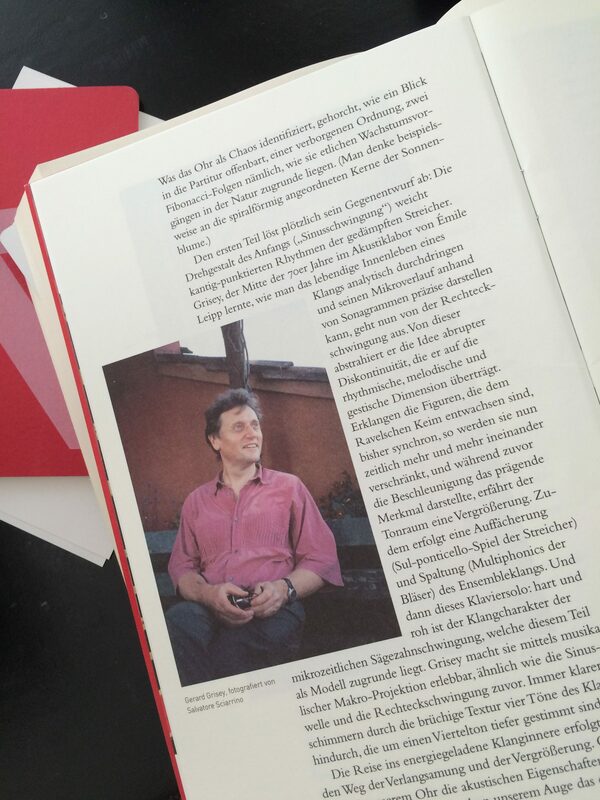 What was your process with designer Nikolaus Webern? With Nikolaus we always start from the text and we discuss a lot before even starting to design. One big element that inspired us is the weight of the protagonist that creates an imbalance in the perfect lives of Windsor’s bourgeois world, so we have worked on this loss of balance in life. A great visual influence for me came from all the years working at Glyndebourne, so the village, the house, the pub — they’re somewhat related to those years where I was assisting Graham Vick and reviving his shows in this magical festival. You can see in the show the village of Lewes, the house of the owners of the festival and in fact. almost every single pub in the neighbourhood. How much did Brexit influence your direction with this work? Funny you ask — whenever I presented the production to the cast and the theatre I said, “Falstaff at the time of Brexit.” In a way there is a relationship to what’s happening to England now, but I’ve treated it more as an example than anything else. I believe we have a lot to learn from what England is going through politically and socially. I don’t and never believed that division is the answer. In a bizarre way England is behaving like Falstaff, still thinking an Empire is possible and not accepting reality and how the world has changed. Brexit has been a very divisive subject within England and Great Britain in general. What’s it like to direct at Festival Verdi in Parma, a city known for its strong opera opinions? It’s an honor to be directing at this prestigious festival next to names like Vick and (Hugo) De Ana (directing Jerusalem at the Festival Verdi this year); I was thrilled at the idea of working in Verdi’s land for an audience that loves and deeply knows Verdi. I enjoyed the process, never fearing any good or bad reaction from the audience. As long as you are loyal to your vision, there’s nothing to fear. 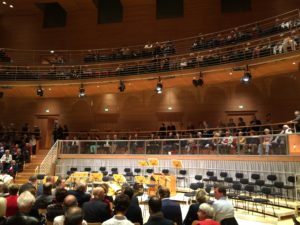 At any time of year, Berlin is a treasure trove of cultural riches, especially for music lovers. 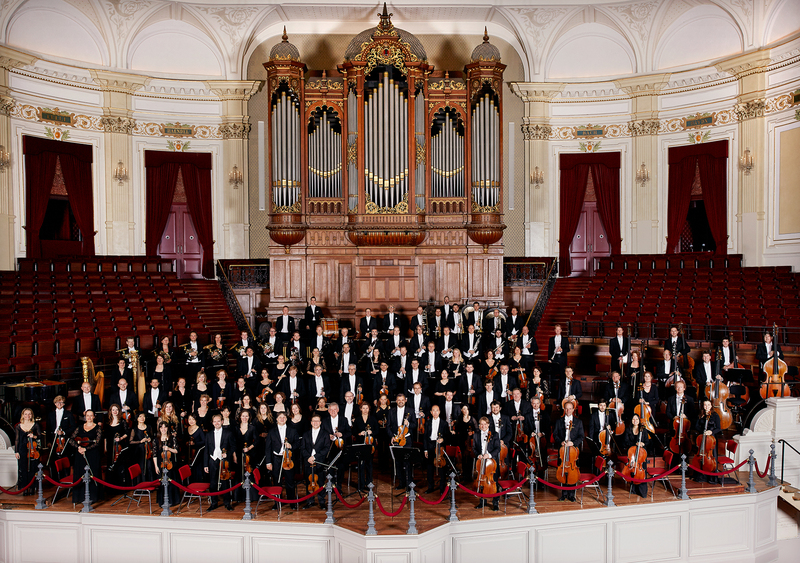 One is spoiled for choice with numerous symphony orchestras, opera outfits, quartets, quintets, and chamber groups. Being in the city for the final week of the annual MusikFest (which you’ll be able to read all about in a future edition of Opera Canada magazine) however, it became extremely clear that Berliners take their music very seriously; the annual event (part of the larger Festspiele) is an expression of a culture that is firmly part of every day life, not an accessory to it. 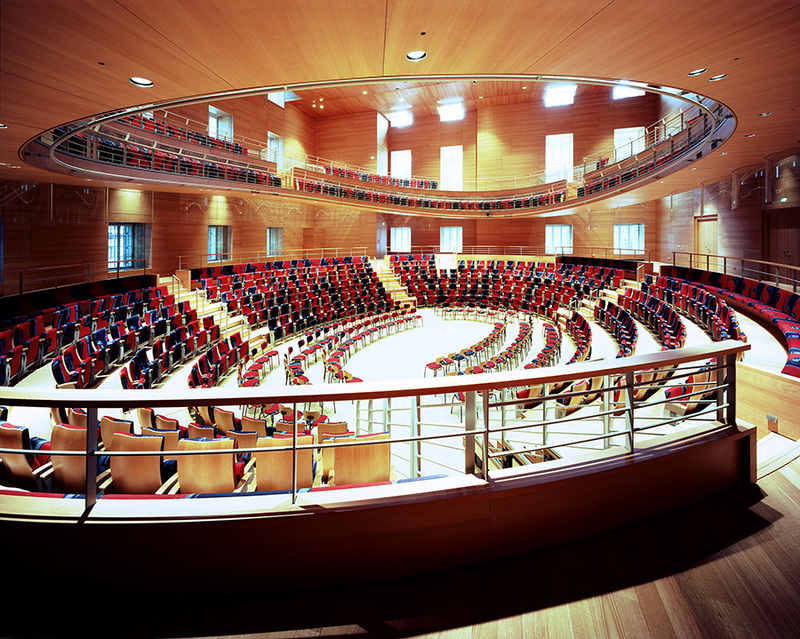 One of the most unique events was the Monteverdi program programmed and presented by the RIAS Kammerchor (or chamber choir) of Berlin. Who was Monteverdi, and why should you care? 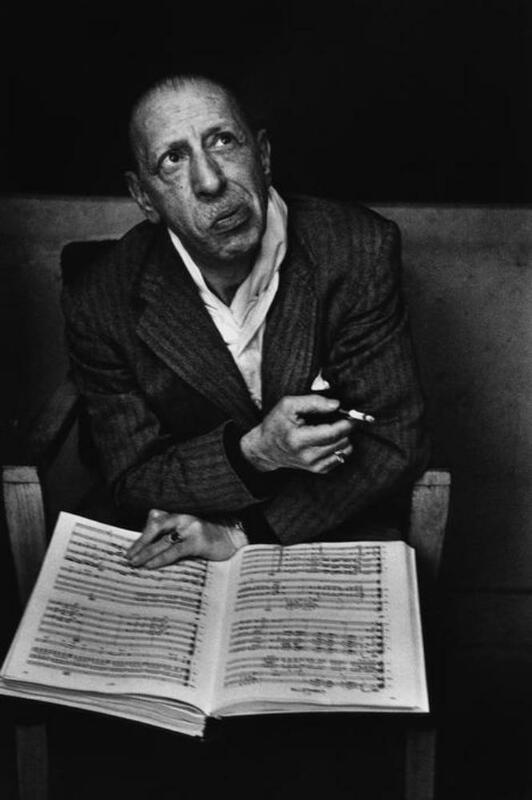 He’s the father of opera, and, in a broader sense, a very important guy in the history of vocal music as a whole. The composer, who links the Renaissance and Baroque eras, even has a whole box set of his works called “The Innovator.” 2017 marks Monteverdi’s 450th birthday, so many groups are marking the occasion with performances. 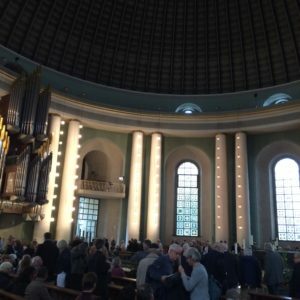 Though I didn’t get to hear a lot of vocal music this time in Berlin, I did experience some very special music moments, and Monteverdi as presented by the RIAS Kammerchor had a lot to do with it. 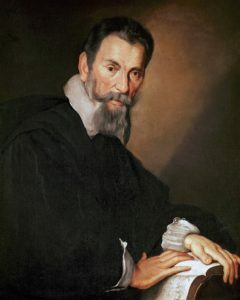 Claudio Monteverdi; portrait by Bernardo Strozzi. So why do we still care about Monteverdi? Well, to paraphrase what Justin Doyle (Chief Conductor and Artistic Director of Kammerchor, who is also a permanent conductor at Opera North in Leeds) says in my interview with him (below), the Cremona native invented a lot of the musical concepts we take for granted today — things like instrumentation, vocal exchanges, balance, phrasing, melody, harmony. Kammerchor performed two of his works as part of this year’s MusikFest in Berlin, the Vespers and another religious piece, the shorter “Missa in illo tempore” I heard the latter performed first, in the middle of a chilly, bright Saturday afternoon at the round, grandly austere St. Hedwig’s Cathedral; the Vespers was presented at the modern, elliptically-shaped Pierre Boulez Saal (Hall), where various soloists (vocal and instrumental) were choreographed to move around in the space, delivering lines from all angles within the hall . Both presented some very different experiences of some very old music, in ways that made it sound very new, and very alive. 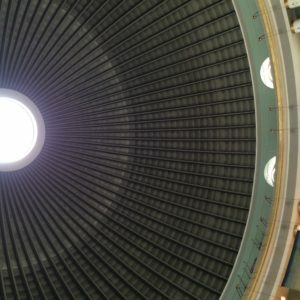 While the wide, open spaces of St. Hedwig’s allowed the sound to swirl, and occasionally submerge the audience in graceful (if sometimes challenging) harmonies, the Boulez warmly enveloped listeners, forcing a simultaneously careful listening experience and a thoughtful spiritual exercise. The poetic sounds of the Capella de la Torre (an incredible ensemble who play authentic Renaissance instruments) were so wonderfully attuned to Doyle’s directions, and the beautifully contrasting tenors of Andrew Staples and Thomas Hobbes, calling as if from dreams at points, collected, merged, and contrasted with the ethereal sopranos of Dorothee Mields and Hannah Morrison. 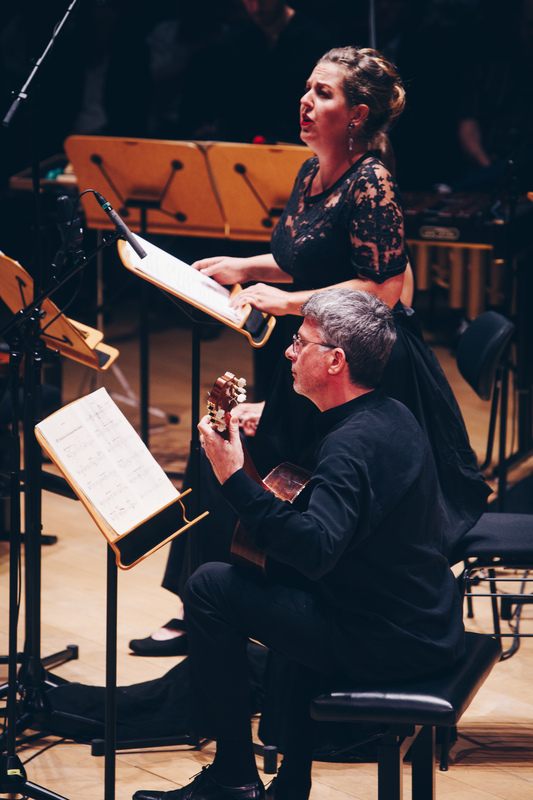 What made the concerts particularly profound was hearing how completely conversational Monteverdi’s work is, vocally and instrumentally, and just how much drama has been naturally woven into the sonic framework. Forget bland, unchanging religious music; this was dramatically gripping and spiritually moving on every level. During the Renaissance, it was common for composers to set the Ordinary to music, the first large–scale form in western music. The texture was polyphonic, at first based on the underlying plainsong melodies of each section. Such was the paraphrase mass, in which an existing melody, albeit in a usually embellished form, was used as the basis for one or more movements. As you’ll hear, Doyle is passionate about this music — and why not? You don’t have to belong to a specific faith to enjoy the riches it offers, or to hear how unusual, innovative, complex, and enlightening it is. 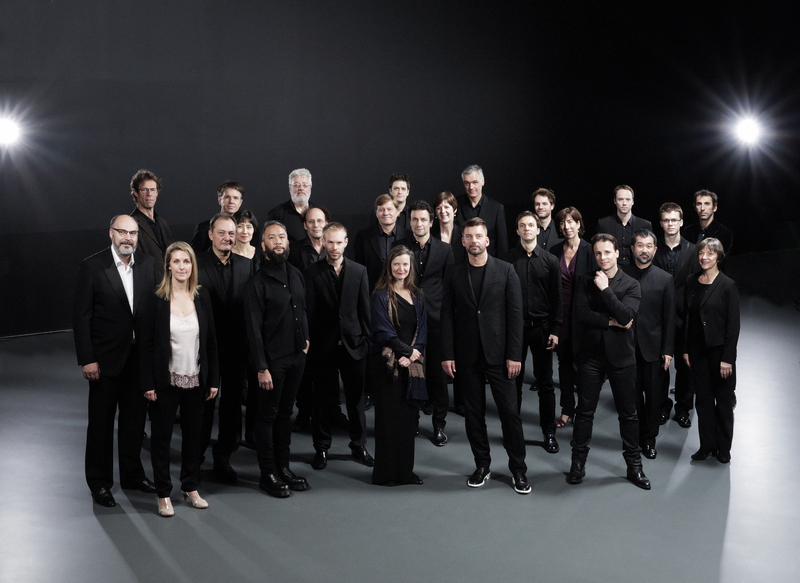 Monteverdi may be 450 years old, but he’s still as fresh as a daisy, thanks to ensembles like the RIAS Kammerchor.